Anyone can critique fiction. Licenses aren’t required. College degrees aren’t necessary. However, if you're going to hand over your prose for feedback, you need to do it with your eyes wide open. Know your "Beta Reader's" professional credentials, personal preferences and "personality quirks.". Ideally, you want to choose a Beta Reader who exercises compassion (in other words, restraint) when writing a critique. A flippant remark delivered on a bad-hair day can make anybody's publication dream go up in smoke. A veteran fiction teacher once told me that whole-sale “slashing” should be considered as a last resort for any manuscript. Most passages can be saved if the writer employs techniques that strengthen characterization and plot conflicts. A Beta Reader's job is to figure out the techniques that will improve a particular passage in your prose and guide you how to apply them. 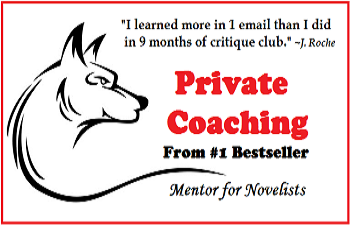 Ironically, many fiction writers can't see in their own writing what they may be criticizing in yours -- and that means, your writing "buddies" may not know how to deliver helpful critiques..
Why Hunt for Beta Readers? People who devote their time and knowledge to writing critiques are performing an invaluable service for authors -- one that most book editors avoid. Why? Because most book editors don’t have the time, or the analytical skills, to show a writer how to save her prose. Case in point: after purchasing my debut novel, Texas Outlaw, my Bantam editor directed me to cut 75 pages to eliminate what she described as the manuscript's “sagging middle.” I was devastated. Those 75 pages were 1/3 of my book! Fortunately, my critique group rallied around me. After careful analysis, they helped me figure out the problem -- one that was intrinsic to Romance novels, if not to other genre fiction. Apparently I'd dropped the romantic / sexual tension between the Hero and Heroine. In my enthusiasm to write a "real Western," I'd turned the last 1/3 of my Romance novel into an Adventure novel. Once I rectified this problem, guess what? My editor happily approved my revisions – which had increased to 81 pages. While slashing 75 pages may have been one solution for Texas Outlaw's sagging middle, it wasn't the only solution. My critique group helped me find a better one. Let's turn the tables for a moment. Pretend that you're a Beta Reader. If you're asked for a manuscript critique, you're not being asked whether you "liked" the writer's story. Instead, that writer is asking you, if indirectly, "Have I mastered the fundamentals of book writing? Is my prose compelling? Does it move you emotionally? Is it ready to stand the test of literary agents and book editors?" Story critiques aren't helpful if they're based on personal bias. A useful critique focuses on fundamental writing problems. A story critique should not focus on the Beta Reader's personal preference (for instance) for flowery adjectives or a Spartan writing style. To be credible and helpful, a Beta Reader should logically support his evaluations with citations from the foundations of fiction and good novel structure. Below, you'll find suggested guidelines for your Beta Readers. What are the Foundations of Fiction? Is goal, motivation, and conflict (both internal and external) present for every character in every scene? Does the submission demonstrate mastery of the scene-and-sequel technique? Is the submission too terse for a tender scene? Does it lack the urgency necessary for suspense or humor? Does it bog down with narrative (adjectives, adverbs, stage directions, character exposition, etc.)? If the author “jumped heads” in mid-scene, was the viewpoint shift distracting? Does the viewpoint shift raise the emotional ante? Could the scene be stronger without the viewpoint shift? Is the dialogue conversational? Does it help to build characterization and move the plot forward? Is the dialogue consistent with the character’s personality and the time period in which the novel is set? Are they seamless between paragraphs? Do the scenes and sequels flow logically into each other? When one chapter ends, does the following chapter immediately grab your attention? With each successive chapter, does the tension build? Is the writing fairly flawless? Does it roll easily through the mind? Are anachronisms used? Is the language repetitive or unwieldy? The main characters are introduced, along with their backgrounds and story goals. The bulk of the story transpires. The characters go through major changes along the way to achieving their story goals. The protagonist is forced to confront the biggest obstacle to achieving his story goal. All elements of the story come together, and the resolution leads to the "inevitable" ending. #1. Chapter 1 opens with a hook. #2. Chapter 3 ends with an intriguing cliff-hanger. #3. The story has compelling subplots that are tied to secondary characters, including the antagonist. #6. The “dark moment” shows the protagonist making the toughest, value-based decision in the plot. #7. The climax shows the protagonist triumphing over the antagonist. #8. The resolution ties up all loose ends in as few pages as possible. The article, How to Get What You Want from a Beta Reader, is copyrighted by Adrienne deWolfe.